The FBI formally admonished ex-British spy Christopher Steele in early 2016 before he began investigating candidate Donald Trump, according to new documents. Mr. Steele signed the admonishment and then on at least two occasions violated the rule for confidential human sources, or CHS, by talking to the news media. 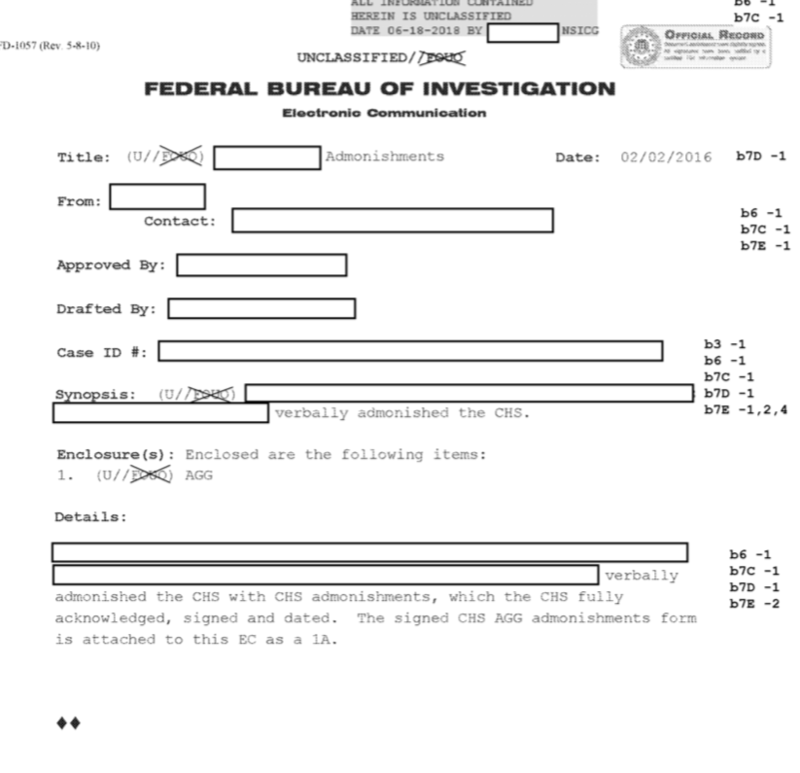 News of the verbal admonishment is contained in 70 pages of mostly redacted FBI documents on what Mr. Steele reported as a CHS, how much he was paid and how he met his demise as a key bureau undercover source. The sparse documents’ most significant disclosure is that Mr. Steele was on Feb. 2, 2016, read an admonishment. FBI guidelines for confidential sources refers to admonishment as instructions. Judicial Watch suggested the admonishment was for some unknown misconduct. The document is heavily redacted. By the end of April, Mr. Steele was hired by the Democrats. By June, he was churning out memos that accused the Trump campaign of an “extensive conspiracy” with the Kremlin to interfere in the 2016 election. In September, he briefed a number of reporters in Washington. The act on its face appears to violate the FBI’s insistence that a human source remain confidential. Congressional investigators say Mr. Steele lied to the FBI by denying he had spoken to any reporters. He fed a steady diet of collusion charges to the FBI. In October 2016, the FBI wrote an application to a judge to wiretap volunteer Carter Page. The dossier, which alleged Mr. Page met with shady Kremlin figures in Moscow, made up the bulk of the evidence to a judge that Mr. Page acted as a foreign agent for Russia. On his book tour this year, fired FBI Director James B. Comey, a persistent Trump critic, vouched for Mr. Steele.